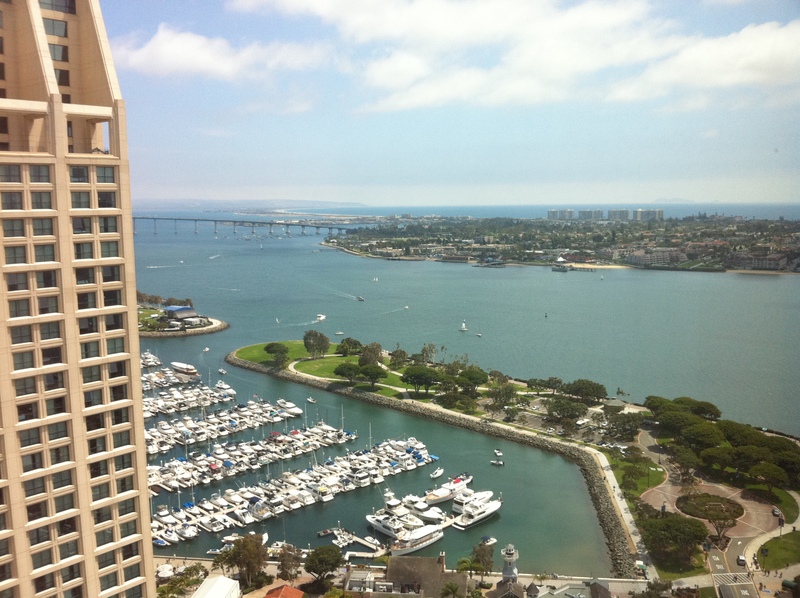 The view from my room at the Manchester Grand Hyatt in San Diego, Calif.
SAN DIEGO, Calif. — I’m in San Diego for the National Association of Black Journalists convention and career fair. It’s an opportunity for journalists and public relations specialists of the 3,000 member organization to gather for fellowship, discussion, brainstorming solutions for the industry, and promote a healthy dialogue centered on diversity in the media. These are short-sighted arguments. And they usually boil down to some half-hearted attempt to prove reverse-racism. NABJ, at it’s very core, is meant to be an inclusive organization. Meaning to say, include minorities in the conversation and decision-making process, which play out directly in telecasts and newsprint worldwide. A big part of this is that communities of color, in my opinion, have a God given right to be covered in the media by people who understand them and, in some cases, literally speak the same language. This is still true for black people today, who are still fighting battles of perception in and out of communities that Barack Obama carried in 2008. There’s no denying that there is progress that has been made in race relations. But racism isn’t dead, and we see it played out in a very ugly way with mixtures of xenophobia and fear mongering. Organizations like NABJ, the National Association of Hispanic Journalists, the Asian American Journalists Association and the Native American Journalists Association, fight the good fight for people of color worldwide. I guess my last point about this is a very simple one: Journalists and news organizations have an obligation to be fair. I don’t see how that can happen in communities of color if your local newspaper or TV station doesn’t represent the demographics it covers. So I’m in San Diego as the organization continues to promote this important dialogue for its 35th year. As a member since 2006, I readily admit NABJ is dear to me. It has helped me secure business connections in the industry and its members have helped point me in the right direction career-wise. But more than that, the organization continues to be a place of healthy, forward thinking dialogue on journalism and our culture, which I welcome into my inbox daily. For more information on NABJ and the convention I’m attending, go to http://www.NABJ.org. 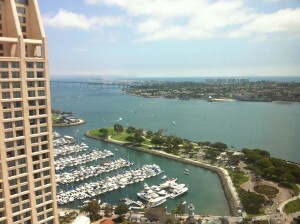 I’ll post more from San Diego and the journalism oriented programming I’ll be consuming there. But if you have questions, you can always leave a comment below.